Join PRIDE's most fun After Party! 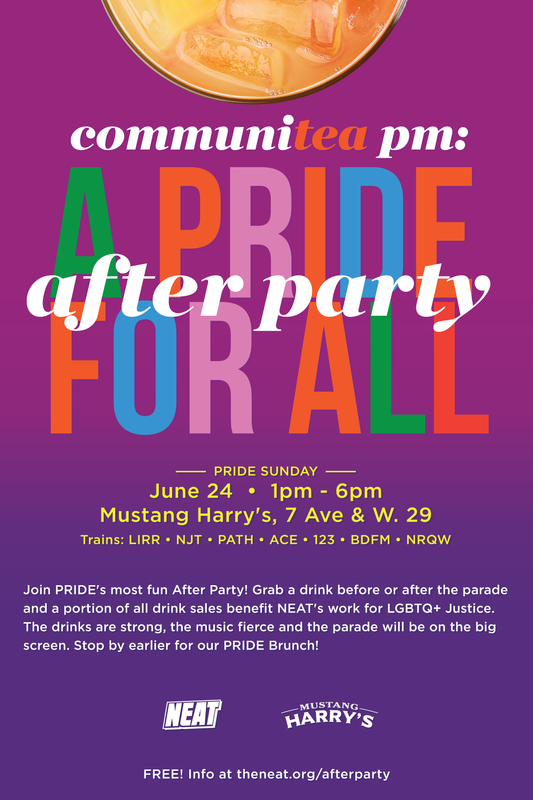 Grab a drink before or after the parade and a portion of all drink sales benefit NEAT's work for LGBTQ+ Justice. The drinks are strong, the music fierce and the parade will be showing LIVE on the big screen. Stop by earlier for our PRIDE Brunch!